Description: This rare “colored” Green Mountain Renovator is from East Georgia Vermont and is in excellent condition. 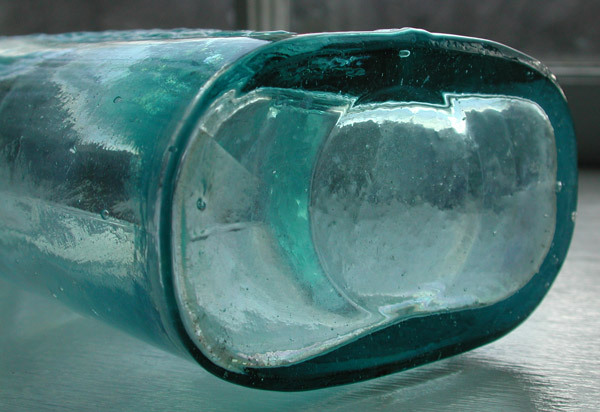 The color runs from aqua-marine to ice blue depending on the glass thickness. There is a content haze mark on the front panel. 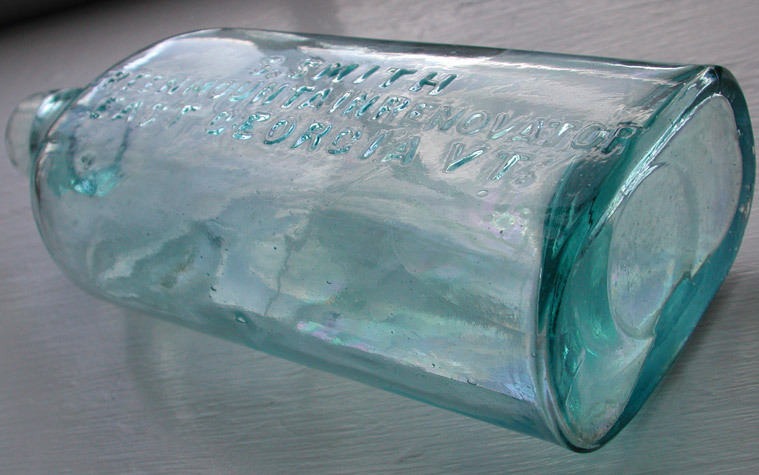 Silas Smith of Georgia, Vermont, first put up this purely vegetable preparation for impurities of the blood and was warranted to cure scrofula, ulcers, fever, sores and salt rheum (from Bill & Betty Wilson – 19th Century Medicine in Glass). This early colored variant (c.1870) is strongly embossed, thick crude tapered collar. Smooth base with early key mold design.